There is very large variation in finger sizes, shapes, skin colors and underlying circulation patterns. The hardware and algorithms built into CorSense make accurate measurement of HRV much more feasible for real world use, but there are a few things you can do to optimize the process. A strong pulse and clean signal help CorSense more accurately detect and measure Heart Rate Variability (HRV). A weak signal results in CorSense taking longer to detect RR-intervals, or sometimes displaying very high or very low heart beat numbers. We see often that the user inserts their finger too far into CorSense. Instead, place the fingertip on the smooth sensor window in the middle, which is slightly back from the small rubber ridge. Try different fingers, and find the one that works best for you. It may surprise you which one it is! 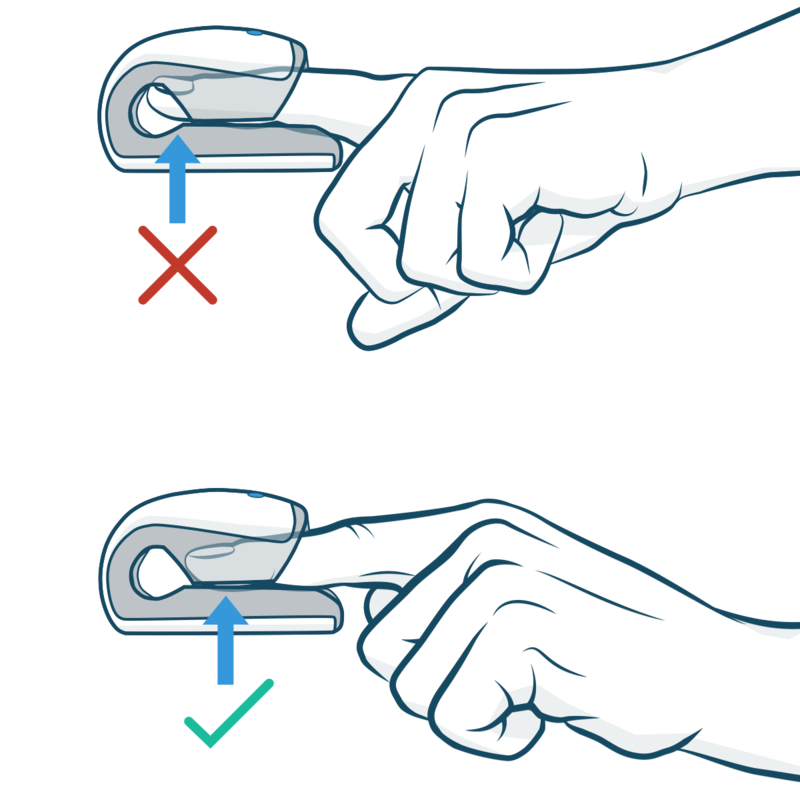 Keep your finger relaxed, not pressing unnecessarily on the CorSense. If still not working, try placing your finger and CorSense on your lap instead of a hard surface - which may cause small vibrations and signal noise. The most recommended body position is seated, hand resting still in your lap, palm facing up. Keep your body still when taking HRV measurements with the CorSense. You may take your HRV reading seated, standing, supine (lying down), reclined, in a squat, or any number of positions. Remain still during the reading, but natural breathing movements are not a problem. Remember to have the CorSense connected, and have the reading screen open, before you insert your finger and start the reading.